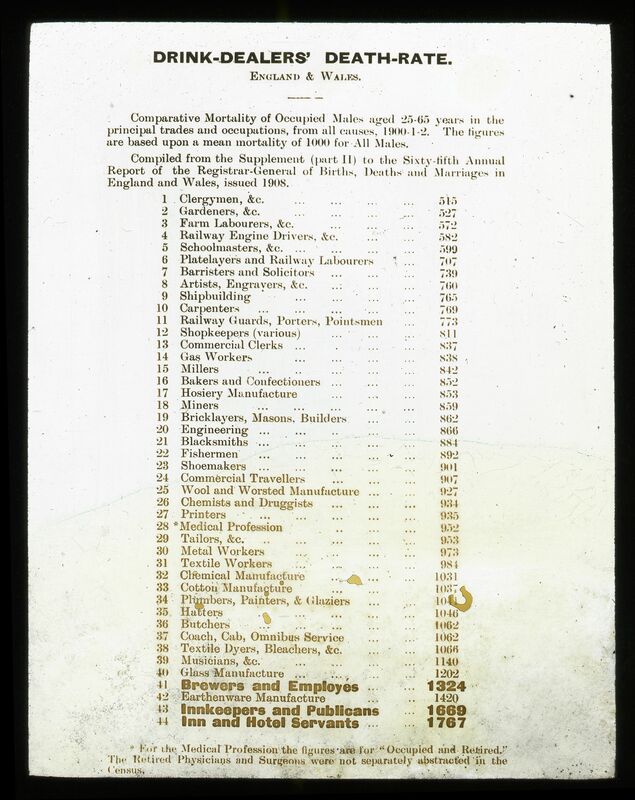 Comparative Mortality of Occupied Males aged 25-65 years in the principal trades and occupations, from all causes, 1900-1-2. The figures are based upon a mean mortality of 1000 for All Men. 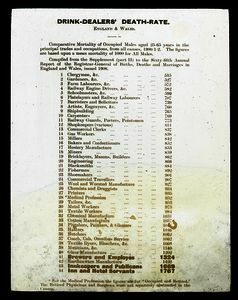 Compiled from the Supplement (part II) to the Sixty-fifth Annual Report of the Registrar- General of Births, Deaths and marriages in england and Wales, issued 1908. * For the Medical Profession the figures are for "Occupied and Retired." The Retired Physicians and Surgeons were not seperately abstracted in the Census.